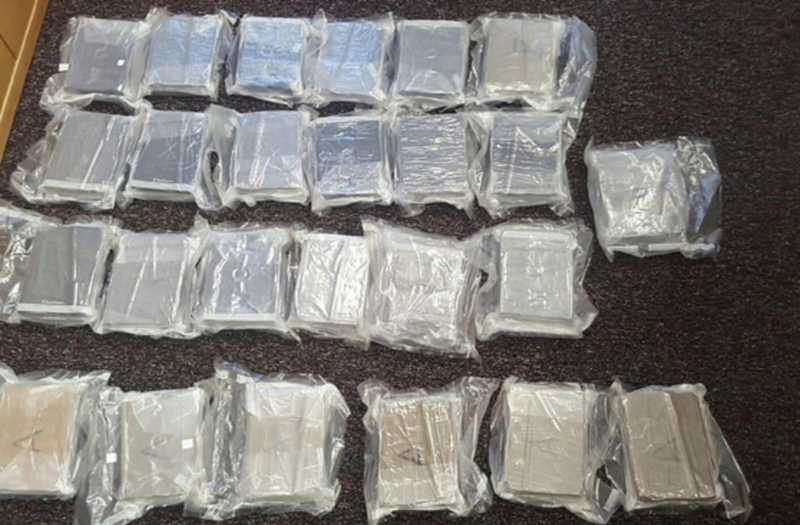 Police in Derby, Connecticut, pulled over a tractor-trailer Wednesday morning -- and after a search, they found 55 pounds of fentanyl worth $1.5 million. That's enough of the drug to kill everyone who lives in the state -- twice. According to WTIC, officers pulled over the truck heading west on Route 34 at 10:50 a.m. The following investigation found the synthetic opioid in the cab. Fentanyl has been blamed for a number of overdose deaths in the state. WTIC reports Erick Escalante, 47, was turned over to the New Haven office of the Drug Enforcement Administration for potential federal prosecution.